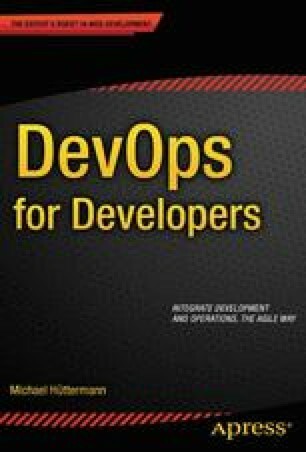 In this chapter, I’ll introduce the DevOps area matrix, comprising four different areas, to introduce and catalog DevOps: to extend development to operations, to extend operations to development, to embed development into operations, and to embed operations into development. To each area, I’ll provide further details and examples. You’ll also learn that Kanban, a method for incrementally changing an underlying process, can be useful in applying DevOps. Finally, I’ll provide a concrete use case to bring all four areas of the DevOps matrix together and combine them with Kanban. Now let’s start discussing the DevOps area matrix.